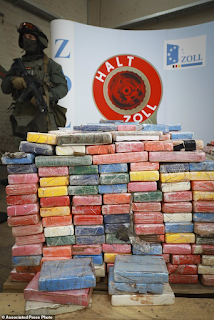 German police have seized more than 7 metric tons of cocaine this year. Germany had been inundated by a "flood of cocaine" from South America. 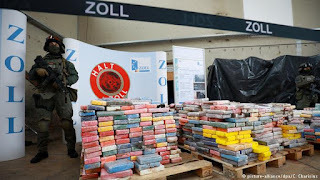 German law enforcement managed to seize more than 7 metric tons (7.7 US tons) of cocaine in part due to increased output. Cocaine seizures worldwide are set to surpass last year's 582 metric tons (641.5 US tons). 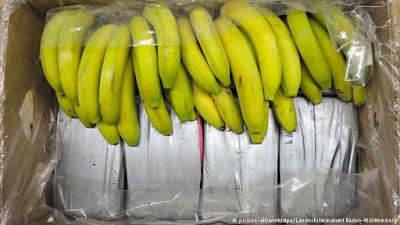 Drug traffickers from South America had inundated markets across Germany. "Dealers are following the motto: 'Supply creates demand'. The supply in South America has increased resulting in a flood of cocaine. 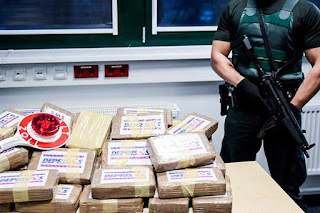 Criminal organizations based in Italy and the Balkans dominate Europe's drugs markets, representing a major challenge to counter-narcotics operations. The criminal organizations' trafficking networks have proven difficult to break up due to their cell-like structure.